Author of Phoebe Fairfax mystery series. About to release her first literary novel in April 2014 called Flying Time. “Flying Time is not a flattering portrayal of Canada. It takes a hard, critical look at the undercurrents of racial tension that cut the Miyashitas out of Calgary society, and the government-endorsed racism that saw them and thousands like them interned and their possessions sold off… But North still find room for quirky humour, like Kay’s mid-narrative disruptions that see her take herself to task for sentimentality or going off on a tangent, or her multiple nicknames for the recovery home she’s in. Flying Time is like having a conversation with your grandmother: she may veer off course on occasion, and remember her sixteenth birthday better than what she said minutes ago, but listening to her talk is always worthwhile. "While the author is delivering a wealth of history, geology, art and Canada during the war, she also serves up a cracking good (and believable) rich memoir of an interesting life. 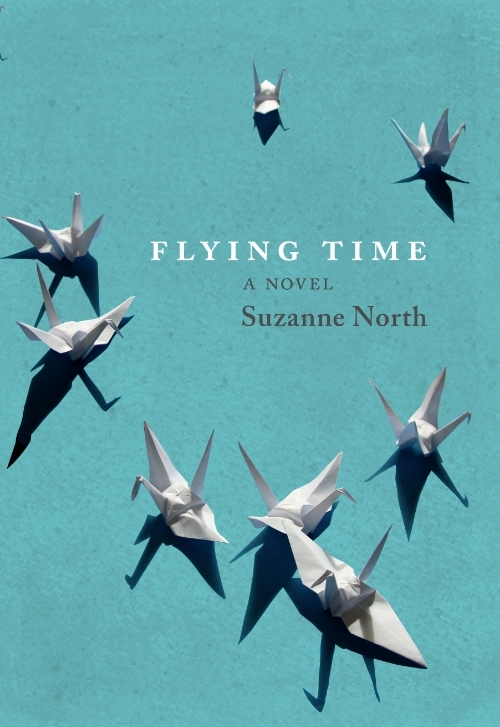 “Suzanne North’s Flying Time is a beautiful novel, brimming with intelligence, heart and wit." – Gail Bowen, author of the Joanne Kilbourn Shreve mystery series. – Candace Savage, author of A Geography of Blood, winner of the 2012 Hilary Weston Writers’ Trust Prize for Nonfiction.